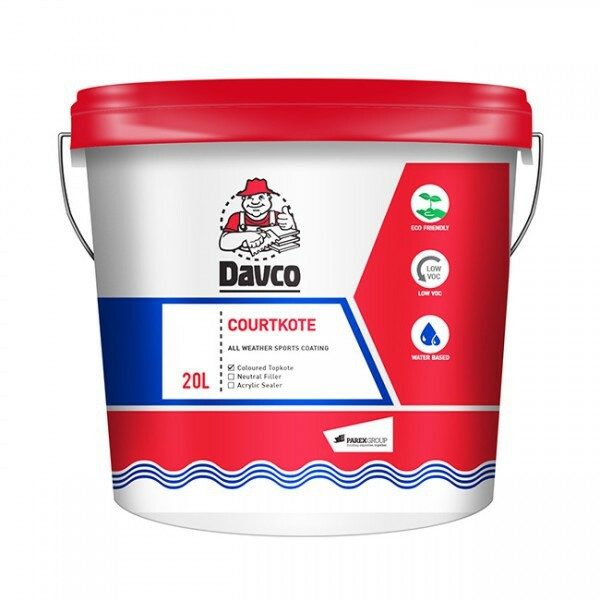 All Weather Davco Courtkote sports surfacing is a blend of Davco Neutral Filler and Davco Coloured Courtkote to produce a specially formulated acrylic coating for application over asphalt and concrete type surfaces. It has a variety of recreational uses, the most common being the all weather tennis courts. Davco Acrylic Sealer - clear non-yellowing acrylic based primer. Davco Neutral Filler - unpigmented filled acrylic surfacing used in conjunction with Davco Coloured Courtkote to provide desired texture. *Click on colours icon to see colour chart.